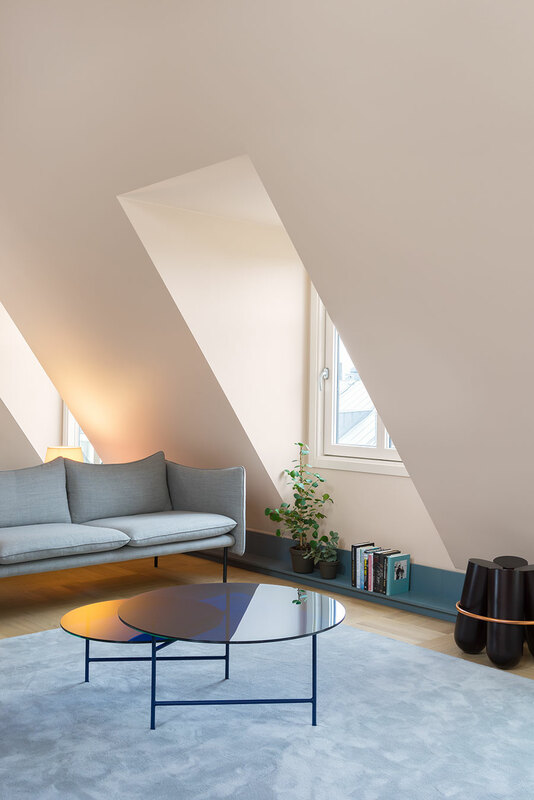 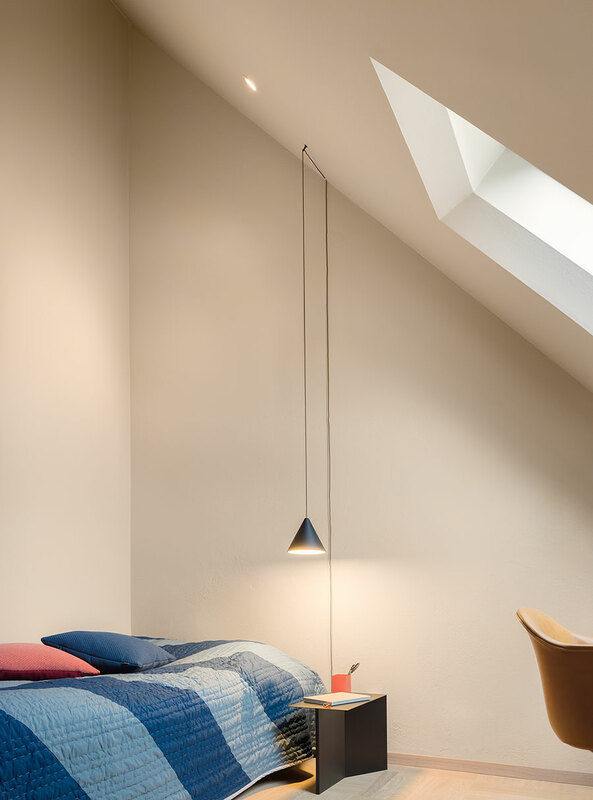 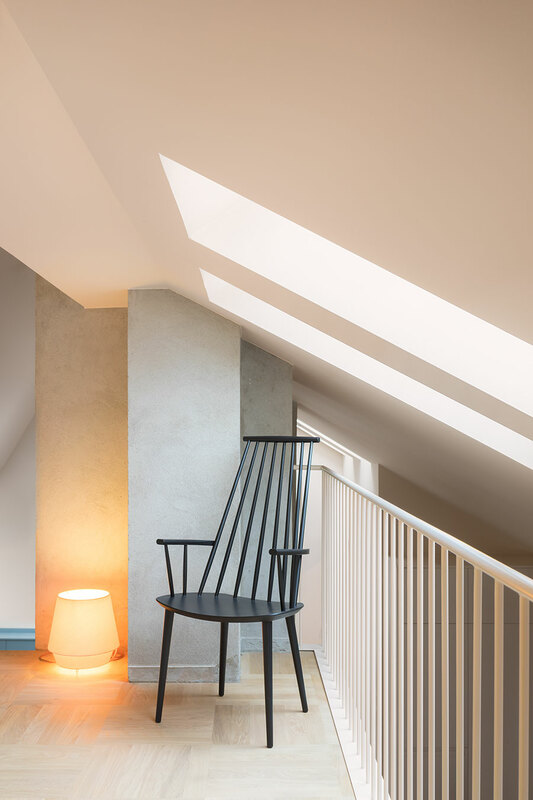 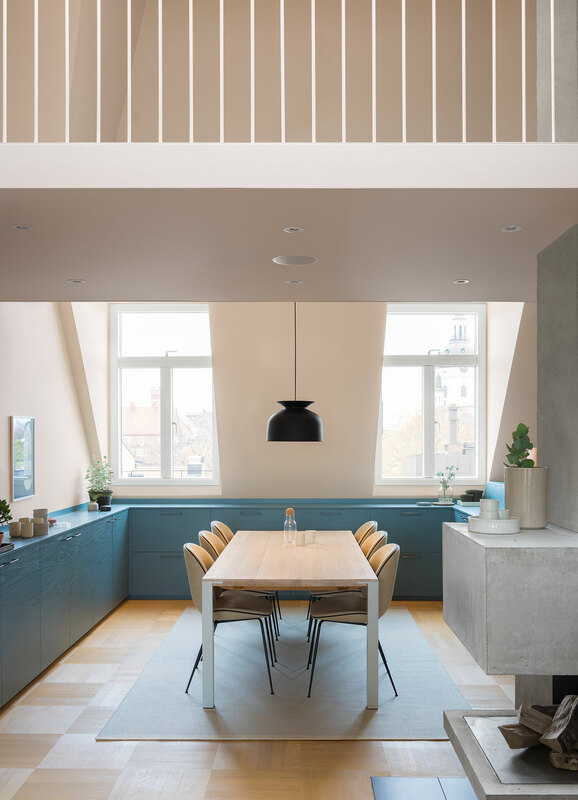 Situated right in the heart of the Swedish capital, in the hip island neighbourhood of Södermalm, this 200-square-meter loft has just been completed by local design studio Note. 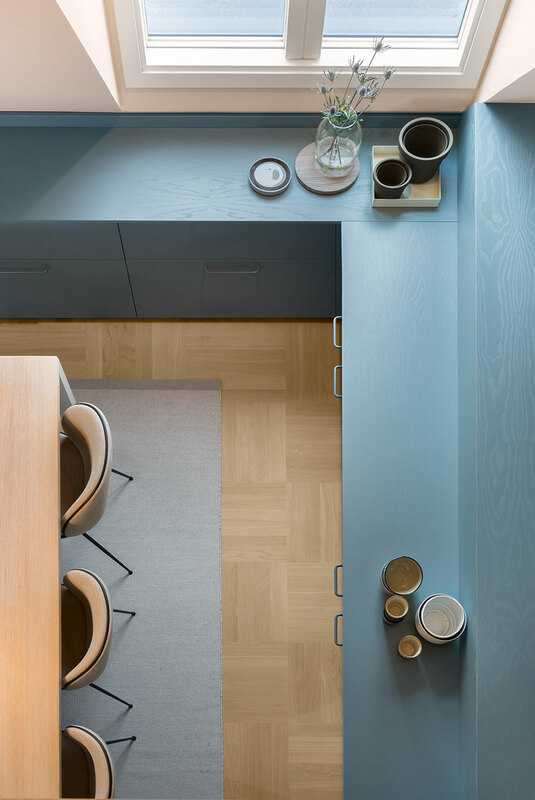 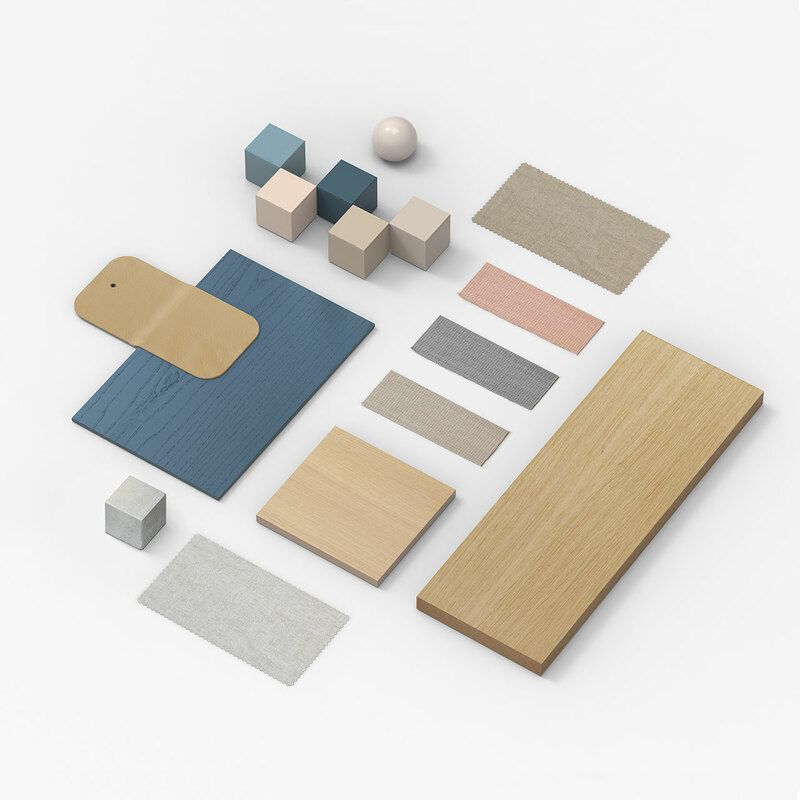 Responding to a rather challenging brief requesting a combination of a warm, homey atmosphere with the potential of the space being used for business meetings and formal gatherings, the designers opted for simplicity, and using as little materials and colours as possible. 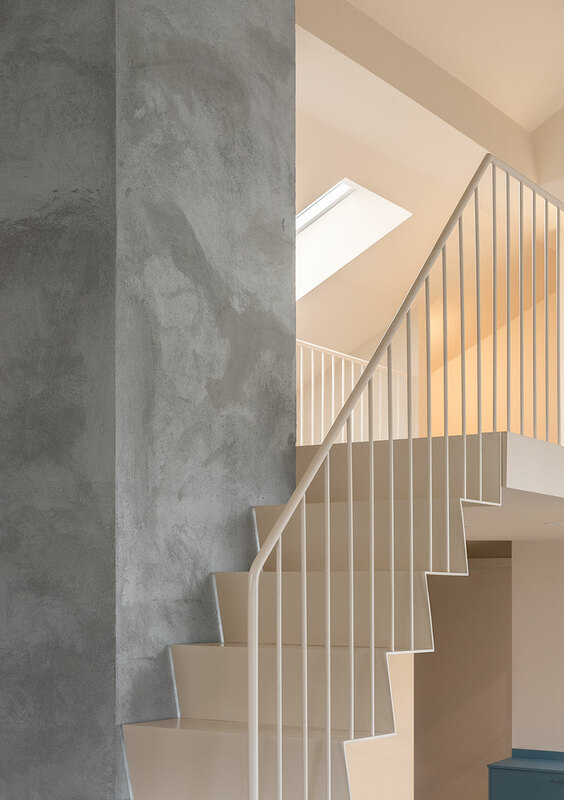 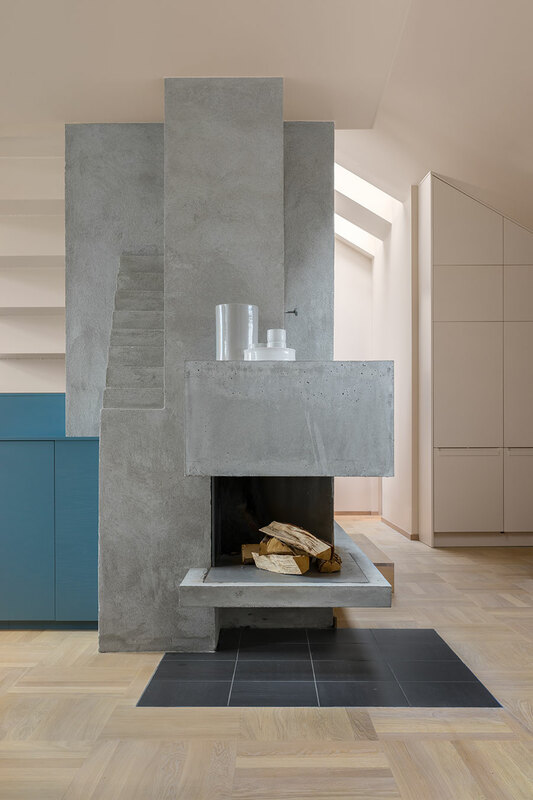 The result is Casa Ljungdahl, a versatile and comfortable home that successfully brings the owners’ vision to life, all the while acting as an example of contemporary Scandinavian design at its very best. 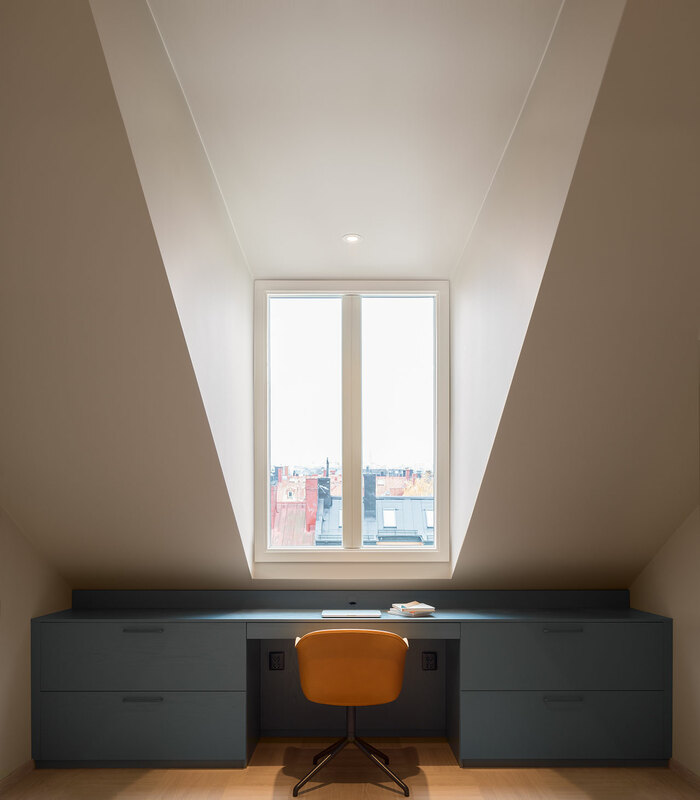 Occupying the top floor of a 1930’s building, the apartment has slanting roofs that create niches of “dead space” where the roof meets the floor; this however provided the designers with an opportunity for clever storage, in the form of a low-lying furniture with deep drawers that runs all around the house. 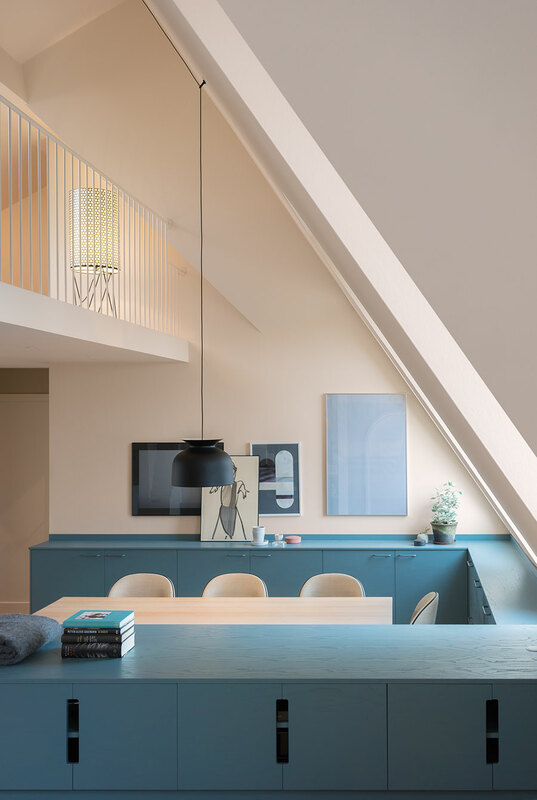 This perimetric “horizon” as the architects call it adds yet another unifying element to the design as a whole, while giving a nod to the classic salon design of the past. 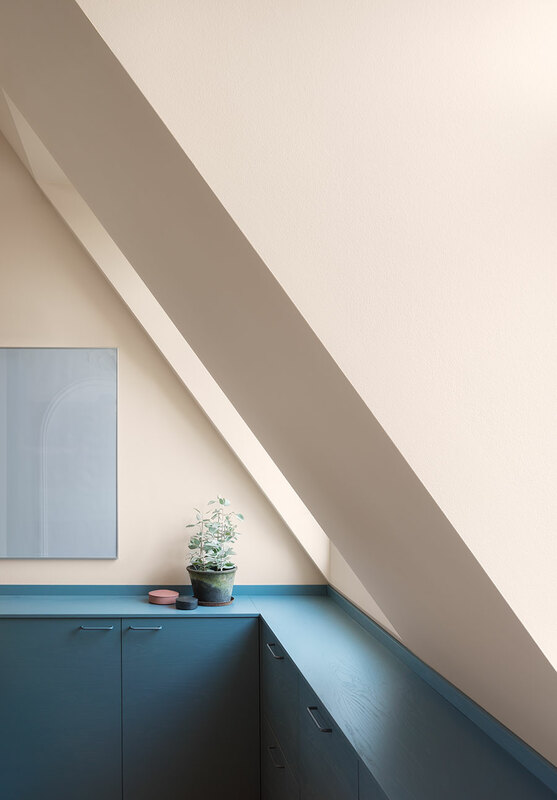 Meanwhile, its grey-blue colour gently contrasts with the hazy tones of apricot pink and sandy beige used on the walls; in fact, nothing in Casa Ljungdahl is white! 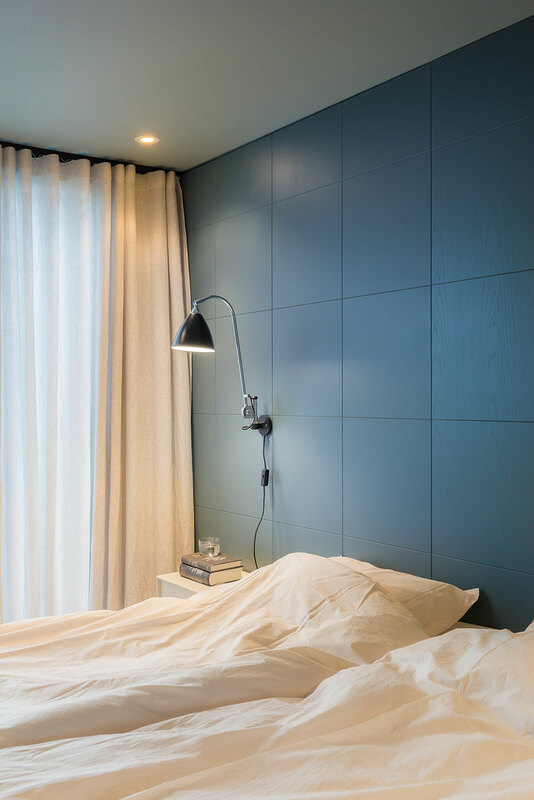 Since the owners travel extensively, the designers wanted to imbue the project with an international and timeless character, an intention achieved through the use of materials, well-thought layout of the different rooms and the way the whole house creates a harmonious whole. 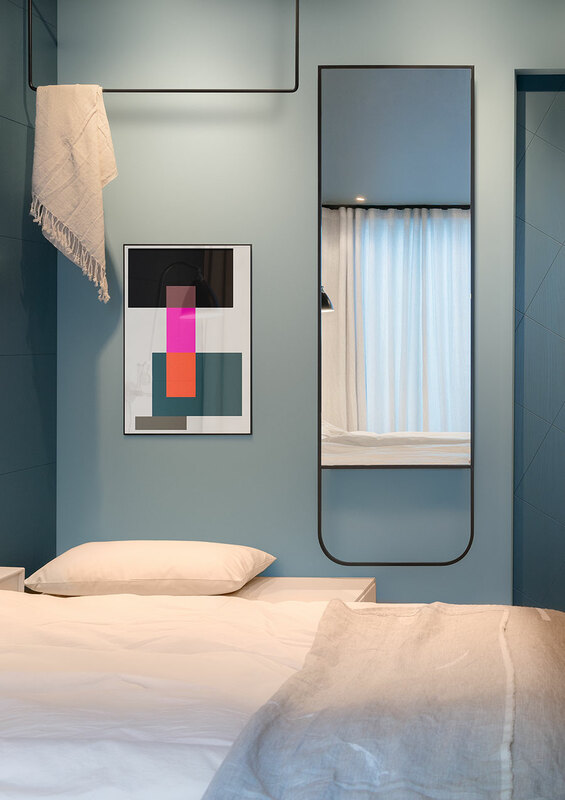 As for the inspiration behind the colours and textures, the architects confess that it was just three images: one of a brown cashmere coat, one of a pair of sand-coloured sneakers and a snapshot of a plaza in Rome.